Integrated touchpad takes the place of your mouse. 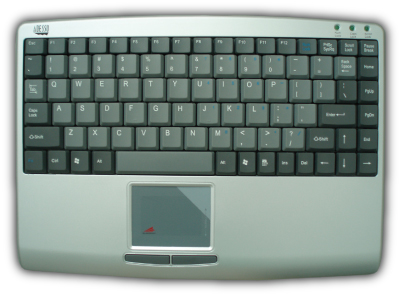 Quickly activate vertical/horizontal scrolling as well as magnification tools by gliding a finger along the touchpad edges. Right-clicks are accessible by tapping a finger in the touchpad's upper right corner. Small and lightweight -- fits anywhere -- extremely portable. Low-profile tactile keys for quieter typing. LEDs indicate status of operating functions. 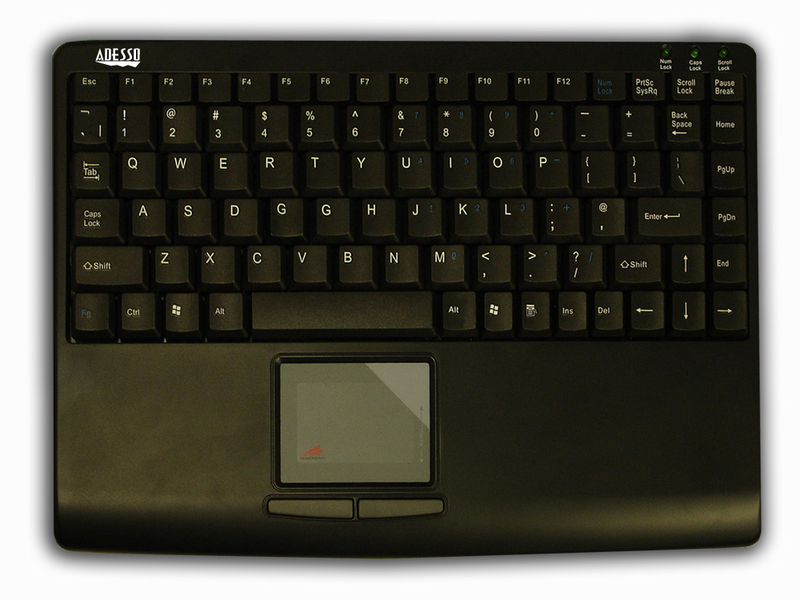 88 keys mini keyboard layout. Membrane key switches provide longer life. Lighted LEDs for Num, Caps, and Scroll Lock.